LOTOS has reached an agreement with KT-Kinetics Technology, the main contractor on the EFRA Project. According to a draft annex, the delayed coking unit (DCU) is to reach the RFSU (ready for start up) status by May 31st 2019. The target economic and financial effects of the EFRA facilities are expected to show in the Group’s consolidated financial results for Q4 2019. In late October 2018, the parties agreed the contents of the draft annex to the contract for engineering, procurement and construction of the key EFRA units, i.e. the hydrogen generation unit (HGU), the coker naphtha hydrotreating unit (CNHT), and the delayed coking unit (DCU). The parties have confirmed that except for the new completion deadlines, the project’s budget (PLN 1.26bn) will remain unchanged. Importantly, the annex will be signed only after relevant approvals from the consortium of eight institutions financing the project have been obtained. The Company will issue a press release as soon as all the formalities have been completed. As at September 30th 2018, the progress of design, procurement, construction and assembly work under the EFRA Project was 96.3%. 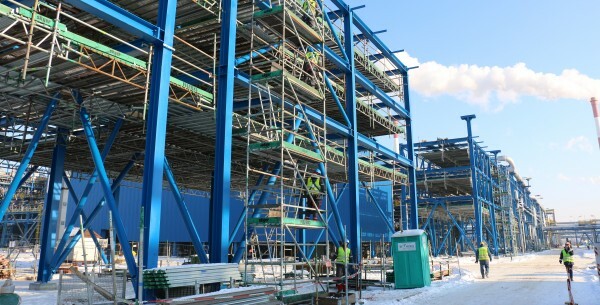 In the third quarter of 2018, construction and commissioning work continued on the individual facilities, involving also auxiliary systems and facilities as well as general infrastructure. Commissioning of the HGU and hydrowax vacuum distillation unit (HVDU), two of the three key units of the EFRA Project, was underway. Having undergone a guarantee test run, the HVDU unit was placed in commercial operation and now operates under loads adjusted to the current needs of the refinery. The HGU unit, the semi-finished product tanks of the DCU and further interfacility pipelines were in the trial and testing phase. The following were placed in commercial operation: HVDU unit, sulfur recovery unit (SRU II), sour water stripper (SWS II), amine recovery unit (ARU II) and LPG treatment unit, modernised diesel fuel hydrodesulfurisation unit (HDS), natural gas pipeline (underground and surface), new condensate station (No. 7) and modernised substation (P2/4). The EFRA Project is a continuation of the wider effort to modernise the refinery and a natural final link in the crude oil refining chain built under the 10+ Programme. Once completed, the project will help Grupa LOTOS to maximise conversion and increase its refining margin by approximately USD 2 per barrel. 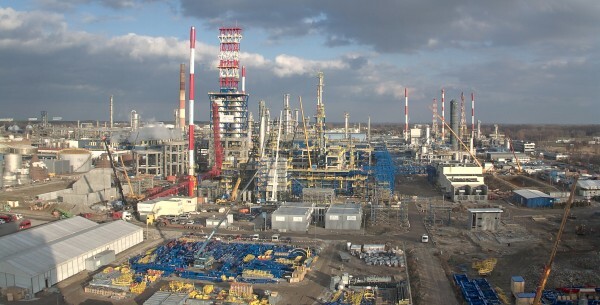 With the new units in place, the Gdańsk refinery is expected to produce an additional 900,000 tonnes of high-margin fuels and 300,000 tonnes of coke per year. LOTOS is a Polish corporation whose business is of strategic importance to the national and European energy security, as well as to Poland’s economy. It produces natural gas and crude oil in Poland, Norway and Lithuania. The Company owns a refinery in Gdańsk, one of Europe’s most advanced oil refining plants, where crude is processed mainly into high quality fuels, including the LOTOS Dynamic premium brand. LOTOS also operates a chain of close to 500 service stations conveniently located at motorways and expressways, in all large cities and many other locations across the country. As a retailer and wholesaler of fuels, it has nearly a one-third market share at home. It is also Poland’s second largest railway carrier. LOTOS is a leading manufacturer of road bitumens, engine oils and lubricants used in road vehicles, aeroplanes, trains, ships, and even military vehicles.